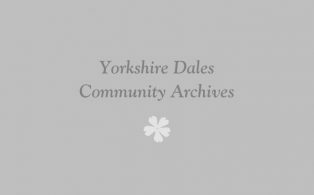 Photographs and newspaper clippings from late 1940’s, 1960 and 2008/9 Digital image can be found on LPHG website at: Football Club Newspaper clippings are in hard copy format only. 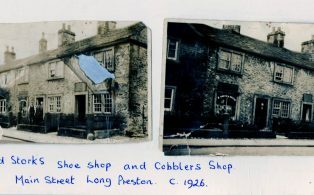 In addition, two family photographs – stored in hard copy only with the images of the shop. Bowrin’s horse Ginger c.1925 Digital image can be found on the LPHG website at: https://www.longprestonheritage.org.uk/old_photographs/Shops/slides/Wm%20Bowrings%20horse%20Ginger.html William Bowrin was the Long Preston Greengrocer. His shop was on the Green. Photograph available in hard copy only (poor quality).